Saved Over $13,000 - Sold in 22 Days! 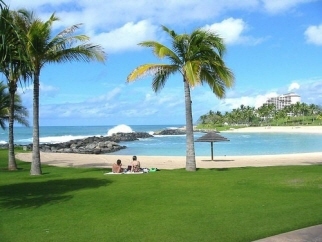 Ko Olina Kai is an enchanting neighborhood with views of the great Pacific. As an owner at Ko Olina Kai, you and your guests will enjoy privileged access to the Ko Olina Kai Recreation Center with an open pavilion, covered cabanas with barbecue grills, two sun-splashed swimming pools, and a heated spa to be enjoyed by day or night. Savings based on companies that charge a 6% list fee.